An ode to the good guy written with truly ravishing intentions, Billy Wilder's The Apartment is the kind of Hollywood classic that never loses its touch, working its way down the generations with a heartfelt tale of unassuming meekness where the only nice guy in a city of big-heads becomes tangled up in a wacky romance. 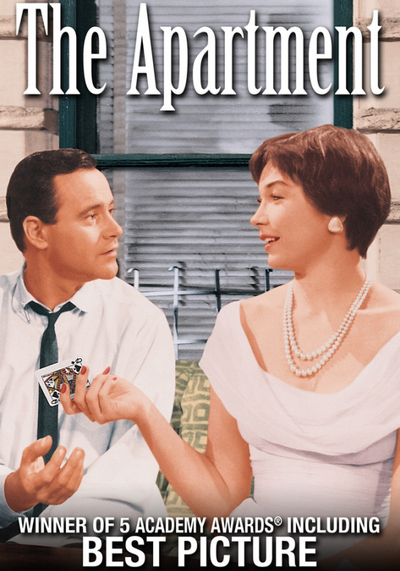 The Apartment stars Jack Lemmon as C.C. Baxter, a lonely nobody who works for a huge insurance company. Keen to move up in the world, he greases the wheels by loaning his apartment to his superiors for their extramarital affairs. This works in terms of getting him a promotion, but it plays havoc with his life and health. 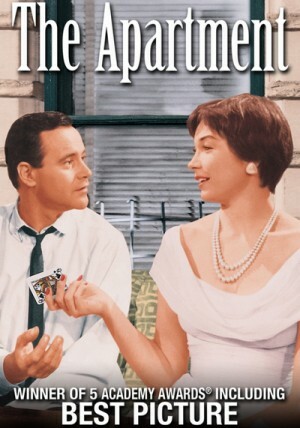 The breaking point comes when he falls for elevator operator Fran Kubelik (Shirley MacLaine), only to find out she’s his boss Jeff D. Sheldrake’s (Fred MacMurray) ‘bit on the side’ and has been brought up to his apartment. This situation takes a shocking turn half way through the film when Kubelik attempts suicide in Baxter’s apartment. After he saves her life and plays nursemaid to the troubled woman, he falls ever more in love and ever more angry at Sheldrake’s mistreatment of her. So Baxter reaches a point where he must decide whether to continue to be a lap dog to his superiors or be a mensch (a human being), as the honourable Dr. Dreyfuss (Jack Kruschen) puts it. It was Steve Martin's first foray into a comedic leading role, playing the most insanely dumb and most ignorant white man on Earth. Having been abandoned as a baby on the door steps of some poor, black sharecroppers in Mississippi, Navin Johnson (Steve Martin) has grown up believing that these poor, kindly folk were his own flesh and blood. 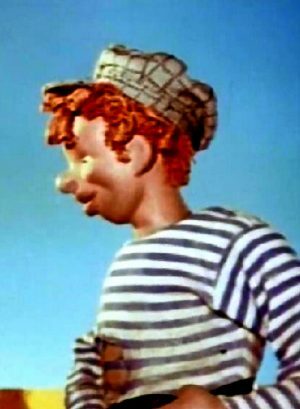 But having reached adulthood, Navin is surprised to discover that the people he calls kin are not and in fact that he is very different to all of them. Feeling at a loss from this devastating news, he decides that he needs to leave home and experience the real world so that he can find his special purpose in life. Through his journey of discovery into the real world, Navin finds work in a gas station before ending up working in a carnival where he falls for the shows motorbike riding stuntwoman. But through a series of fortunate and funny twists he manages to find wealth through inventing a device called an "Opti-Grab" and meets the real love of his life, Marie Kimble (Bernadette Peters). A secret military organization, the OAS, believing French President Charles de Gaulle has betrayed the nation by giving Algeria its independence, backs an assassination attempt in July 1962 that fails. A year later, the OAS steps up its efforts, hiring a professional killer who goes by the code name The Jackal for $500,000. The Jackal, believed responsible for the murder of Dominican leader Trujillo and at least one other head of state in Africa, sets out on an elaborate plan using forged identity papers, a weapon hand-crafted according to his specifications, and a mole in De Gaulle's staff to tip him off to any information authorities may gather about him. 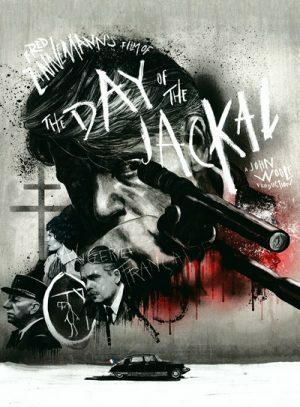 The story cuts back and forth in the cat-and-mouse game between the ever-elusive Jackal and the French authorities trying to stop him before it too late. England’s ‘Three Michaels’ – they being writer-director Mike Hodges, producer Michael Klinger and actor Michael Caine – followed up the success of Get Carter with a film so completely different from that earlier picture that you’d almost swear it were made by a different team. 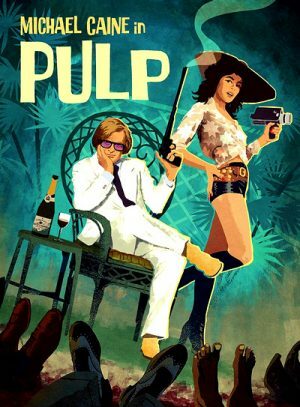 The film revolves around a man named Mickey King (Caine), a man who makes a very good career out of writing trashy, lurid pulp novels... all of which he churns out with lurid titles and under various pseudonyms. When he’s offered a handsome fee to ghostwrite an autobiography for a mysterious celebrity named Preston Gilbert (Mickey Rooney) who has left the Hollywood system for a quiet life in Malta, he accepts. There is, after all, a good amount of money on the line. He sets out getting to work but soon learns that the gangsters and hoodlums that Gilbert became known for playing on the silver screen aren’t quite as fictitious as some might expect – he’s got some very real underworld connections. When Preston turns up dead one day, the strange group of eccentrics that hung around him all turn into suspects, at least in King’s eyes, as he tries to solve the murder without getting knocked off himself. Kin-dza-dza! is cult sci-fi of the highest calibre, a truly inspired work from Daneliya mocking not just Soviet but worldwide customs we take for granted. Kin-Dza-Dza is something like an "advanced cyberpunk film". It's a lot about people and social structures which on the planet of "Pluke" of course have many parallels to our society. 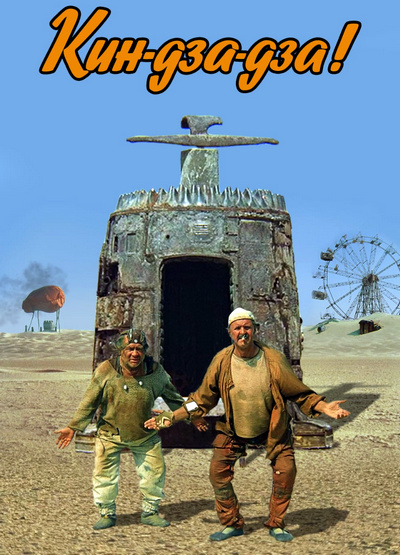 It's a very funny movie, but it's also a melancholic movie with great philosophical sense. A series that tells the history of Soviet puppet animation by means of an anthology of puppet animation together with brief texts. Karel Vachek's documentary essay deals with the fine line between an internal belief in God and institutionalized religion. At the same time it brings up the need for a healthy sense of skepticism and the benefit of not believing in anything that advertises itself as certain. 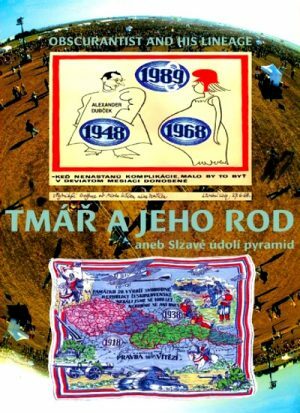 The filmmaker sets out for the USA, Japan, Great Britain, Poland, and the Balkans in his sometimes amusing investigation of spiritual substitutes, such as esoteric "teachings" or various fraudulent and magical practices, to which we sometimes fall prey due to our natural religious cravings. In addition to a Czech "prefab" family, who describe the carryings-on of their poltergeist, well-known mystery buffs appear in the film: Erich von Daniken, Raymond Moody Jr., and Ivan Mackerl. Director Vachek, however, uses no irony or ridicule, and although his position of skepticism in the film is clear, he is quick to point out surprising correspondences between the newest scientific hypotheses and the most ancient religious texts. 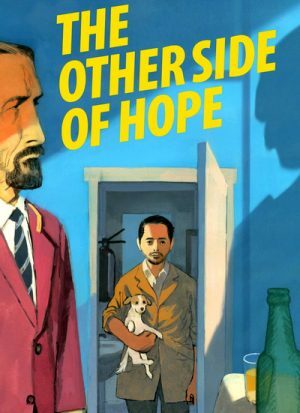 Khaled (Sherwan Haji) is a young Syrian refugee who has fled his war-torn home and, after hopping from country to country looking for his sister after they got separated at one border, ends up on a cargo boat bound to Helsinki. He decides to do things properly here, after previously avoiding the authorities, and heads to the police station to register himself as an asylum seeker. This doesn't go very well though and he is forced to hide out as an illegal immigrant. Second narrative concerns Wikstrom (Sakari Kuosmanen), an ageing shirt salesman who leaves his wife and decides to sell his stock, gamble the proceeds on a high stakes poker game and use all this cash to open a restaurant. This all goes largely to plan and he ends up being the new owner of a mildly popular but ramshackle bar called the Golden Pint, which comes with a motley crew of staff in with the deal. After a while the two stories intertwine of course, as Wikstrom decides to help out the hard-done-by Khaled, who's avoiding the authorities and still looking for his sister. 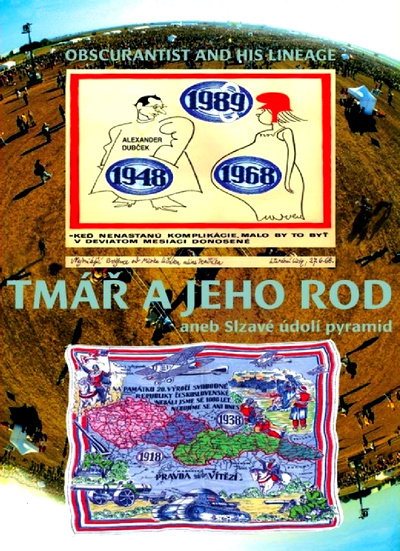 In 1943 J. 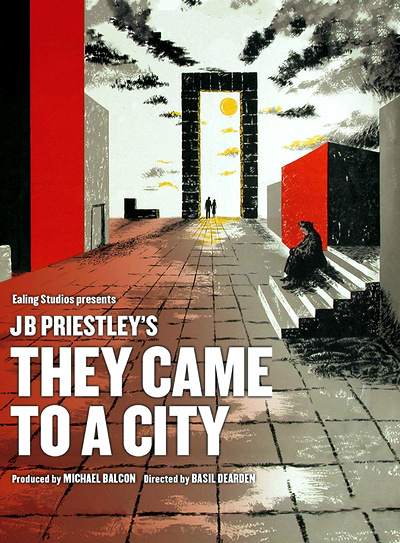 B. Priestley wrote "They Came to a City" as a means of scrutinizing attitudes to the post war world. He believed that new better ways of living could come out of the War, that the mistakes made after the First World War did not have to be repeated. Nine characters, all from different social backgrounds are taken out of their lives and placed outside the walls of a strange city. They have no idea how they got here, whether they're dreaming or simply dead. Soon the great doors open and they are let loose in a city free from disparity and social injustice. For some, it's a utopia; for others, a nightmare. And each must make the decision whether to stay or go. For a film released towards the end of World War II, this is a surprisingly dour and dark work, with touches of humour and a sense of reality that may not have fit easily with an audience seeking escapism. It certainly wasn’t the normal product of Ealing Studios, but it’s still a fine example of the post-World War II British film, restored to its former glory by the BFI from the original 35mm negatives. 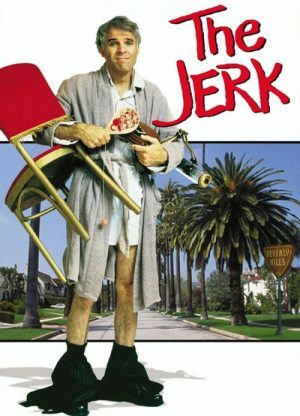 Henry (Michael St. Gerard) is a broken man barely keeping it together in the confines of his small, decrepit apartment. He's losing his mind, using the comfort of television to keep himself stable enough to keep out of trouble, but his favorite show, "The Robertson Family," is ending, returning instability to his life. Henry's connection to any sense of normalcy is Wendy (Maureen Teefy), a social worker who's been trying to keep the young man communicative, hoping to reach the root of his mental health issues, but she's about to take a leave of absence, and the loss doesn't sit well with her patient. On the verge of committing suicide, Henry meets Sam (John P. Ryan), a mystery man who's very interested in making something of his new friend, urging Henry to don a baby mask and become an ax murderer. 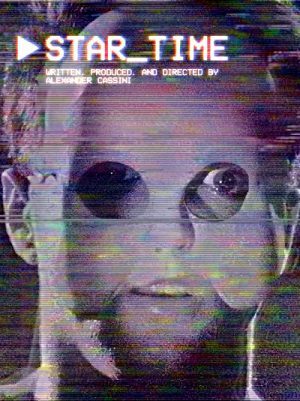 Open to suggestion, but striving to make sense of his insanity, Henry goes along for the ride, becoming a media hot topic, which gives him the attention he desperately craves.